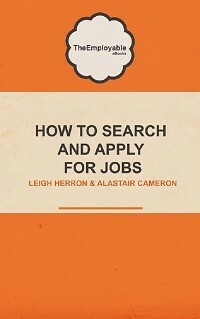 One of the most frustrating elements of getting a job is of course the “job search’ itself. In an attempt to perhaps ease that frustration somewhat, we have put together a list of our “Top Tips for Job Searching”. These are not listed in any particular order and the key thing is that you really should be doing most or all of these things if you are serious in your quest for a job. So…if you aren’t doing some of these already, then maybe now is the time to start. Sign up for Job Listing Emails. There are several metasearch engines which are geared specifically at job seekers. The best in my opinion are www.indeed.com and www.jobrapido.co.uk These sites are very straightforward to use – registration simply consists of registering your email address and selecting the geographic location where you are looking for work. These websites basically trawl numerous other websites and collate all the jobs into one list. Each morning then via email, you will receive a list of all the jobs that have been advertised in your chosen location. You can then click on the relevant links for individual sites or companies for the job(s) that interest you in particular. The big advantage is of course that everything is in the one place for you. 2. Target organisations that interest you. If there are particular organisations where you would particularly like to work, then it is worthwhile targeting them directly. There are various means of doing this, with varying results. For example, calling the company directly, is unlikely to get you through to a hiring manager – more than likely a “gatekeeper” will tell you that person is in a meeting, that they aren’t hiring anyway or that you should just send something in , in writing. If you do choose to send a speculative CV in – make sure it is a quality CV and make sure you send a good covering letter with it. Make sure your CV is highlights your relevant skills for this company and this job – not just a generic CV that you have available. Put work into it. Also, do your research on the company – who is the decision maker – find out their name – don’t just send something to a nameless HR Manager. Read the company website – read news articles – plans for the future etc. Job boards are coming under a lot of criticism these days due to the seemingly endless listings of spam-type jobs and get rich quick schemes. However for the time being they are here to stay. Do your research and register on them – some of the bigger ones are used by 1000’s of employers – from local employers to multinationals. Don’t just rely on the all encompassing sites though like Monster, Reed etc ; use the specialist jobs boards too – be that for Retail, Engineering, I.T., whatever. Probably the “Marmite” of the list – loved or hated. The key thing to remember about most recruitment agencies, is that like it or not, they are commercial businesses. They are not there just to get you a job. If you have a good CV and the skills and experience that their client is looking for, then you will have more success with an agency than if you don’t. At the moment, Recruitment Agencies are often receiving 100’s of applications for every job that they post. It frustrates candidates when they are one of those 100’s and they hear nothing back. In an ideal world, yes , you should get a response. However the fact is that if a Recruitment Consultant spent the time replying individually to every applicant – they would not be doing their “real” job which is making money. The harsh reality is that if you meet the criteria for the job – a Recruitment Consultant will be interested in you. If a job asks for “X” years experience or a particular qualification as being essential in the criteria and you don’t have that, then the likelihood is that you will not get contacted about the job. Make contact directly with the agency too – make an appointment if you can – being proactive will mean you are more likely to be remembered and consequently stand a better chance of building a good and fruitful relationship with the consultant. Don’t rule out the newspaper. The printed media is still used by many businesses to advertise their jobs and whilst there may be duplication in that companies will advertise online as well as in the press, there are plenty of others who do one or the other. Make sure you know which days your local and regional papers carry the job advertisements and buy the paper – or read a copy in the library if you don’t want to / can’t afford to buy a copy. There are countless jobs out there which get filled every single day and which never get advertised. Usually a vacancy arises and one of the company’s employees or acquaintances will know someone who would fit the bill. Do not underestimate just how important networking is. The people you meet day in and day out and your dealings with them are critical in your job search. Friends, family, neighbours. Make an effort with people you meet – you are more likely to stay in their mind if something does arise. Keep in contact with people in your market sector – attend networking or industry events where you can. The use of social networks such as Twitter, Facebook and Linkedin is becoming more and more prevalent. Agencies, companies are all starting to post vacancies and recruitment plans via these means. Also, if you use these networks right, you will also find them an extremely useful source of information about the market sector you want to work in. To use Twitter as an example, start following people of note – be that company owners, journalists , bloggers who write about the industry – this will ensure you keep you abreast of the latest company or industry news. Be vocal – interact with them – comment – raise your own profile. Remember – this is by no means an exhaustive list – so feel free to let us know what you think or if you have any other recommendations that have worked for you or someone you know.